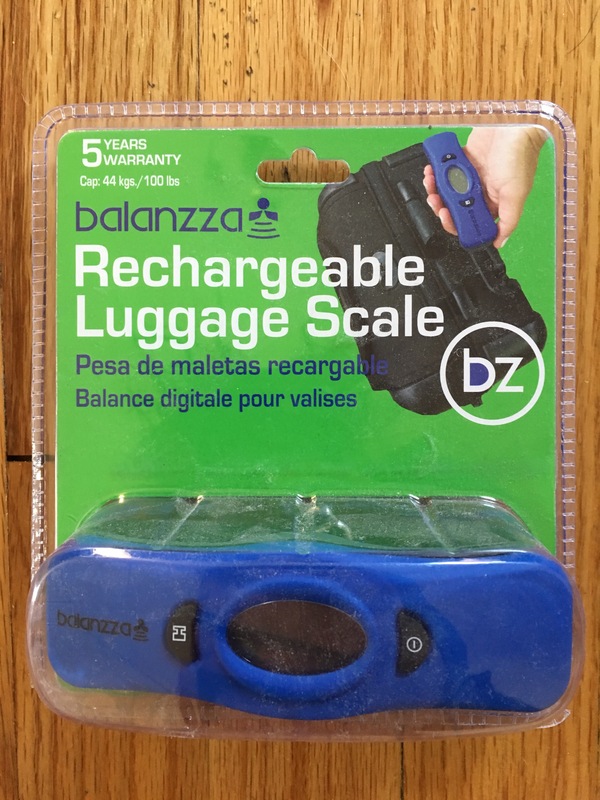 The rechargeable luggage scale from Balanzza is a little different from some of the other scales out there. With a few advantages and a few drawbacks, it ultimately ends up being a decent choice, but probably not my first. 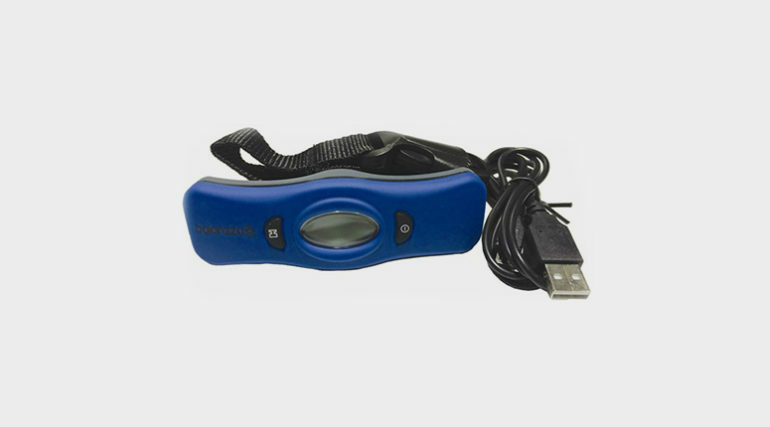 Balanzza is known for pioneering the first portable, digital luggage scale for travelers. According to their website, their scale is the best selling in the United States. They also sell other travel products, like luggage tags and a compact suitcase designed specifically for carry-on purposes. This scale has a few advantages over other scales on the market. For instance, it uses a rechargeable battery, eliminating the need to keep buying batteries for your scale (unlike the Swiftons or Dunheger). The only downside to this feature is that you then have another accessory to carry around if you’re choosing to bring the scale with you. Additionally, the measuring strap has a buckle, versus the standard metal clasp that other scales have. 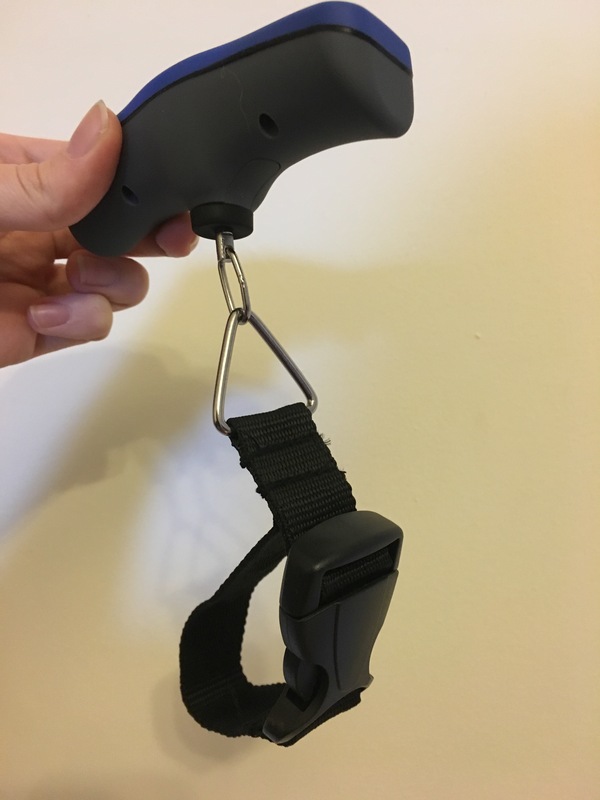 If you’re measuring a heavier bag, this might make it easier to lift it while you’re taking the measurement. However, it does make the scale a little bulkier if you’re trying to squeeze it into a carry-on. It also has the most comfortable grip of the scales I’ve tried. This video shows you how to use the scale. The Balanzza scale does have its drawbacks. It has a slightly smaller weight holding capacity than other scales (100 lbs/44 kgs). It’s not a huge difference, but some airlines let you take a carry-on that weighs up to 50 lbs, in which case you might have to leave out some items that you actually could afford to pack. A big drawback is the lack of a low-battery indicator. This isn’t a huge problem since you’ll likely have the charger with you, but who knows if you’ll be near an outlet. There’s also no instruction manual for this particular model. It does have instructions on the back of the package, but they aren’t as detailed, although using the scale is pretty intuitive anyway. The scale did give accurate readings for three different bags. Overall, this is really the most important quality for a luggage scale, making the Balanzza is a fine choice. But seeing that it’s slightly more expensive, and doesn’t come with some of the helpful features that are standard in other scales, it wouldn’t necessarily be my first choice. 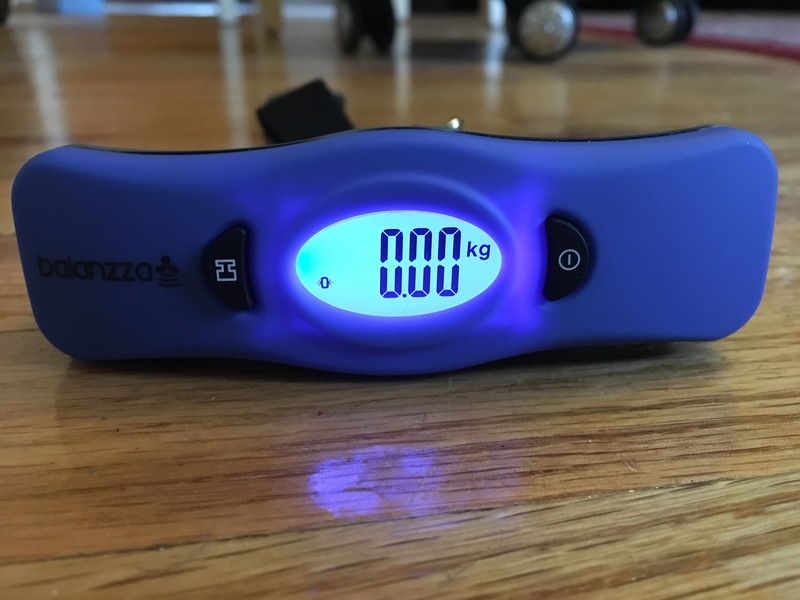 Interested in Purchasing the Balanzza Luggage Scale?